Iseki TH Series Compact Tractors. 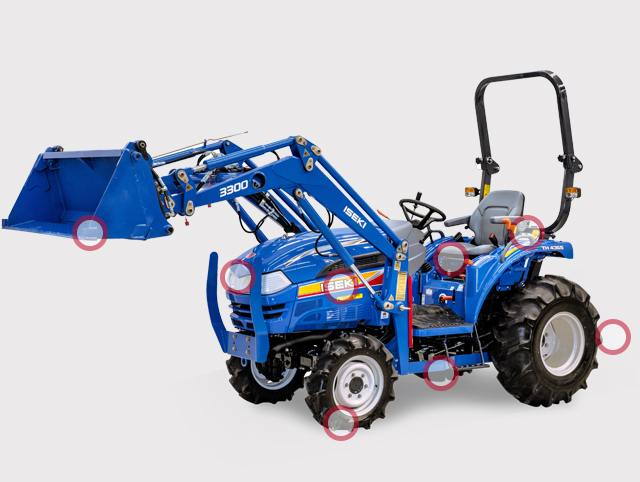 Iseki TH Series compact tractors boast clever features that enable operators to tackle a wide variety of applications. Whether its demanding loader work, mowing or attaching an implement, the TH Series is perfect for large property owners with varied tasks, municipal councils or small farm operators. Featuring powerful engines, a hydrostatic transmission and an ergonomic operator area, the TH Series compact tractors pack a lot of features into a solid Japanese built machine.